Miniature Poodles are the cutest small breed ever and everybody knows that. They are adorable, playful and loving. 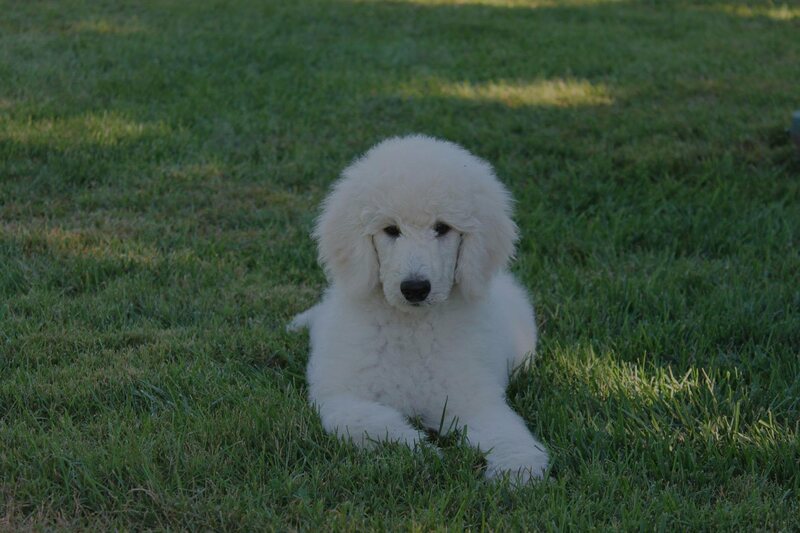 Mini Poodles are known for their curly and shiny coat and active lifestyle. For keeping this beautiful pups healthy and happy you need to care about what they eat in the first place. So, how to pick the good dog food for miniature poodles? We’ve selected the best food nowadays on the market and have created a Buyer’s Guide for you to get all the information you need. Frankly speaking, it is a bit hard nowadays to name one best dog food brand for miniature poodles. So many brands keep their production on the high level with only natural ingredients, high nutrition value and sincere care about our pets. But if we would get to choose one, it would probably be the ROYAL CANIN. A very well-known brand that you can find almost anywhere. And we all must agree, that the convenience is a big plus. But don’t be afraid that the brand lacks something over its popularity and popularity. It contains all the micronutrients and uses only the best ingredients. Absolutely no artificial colors or flavors! 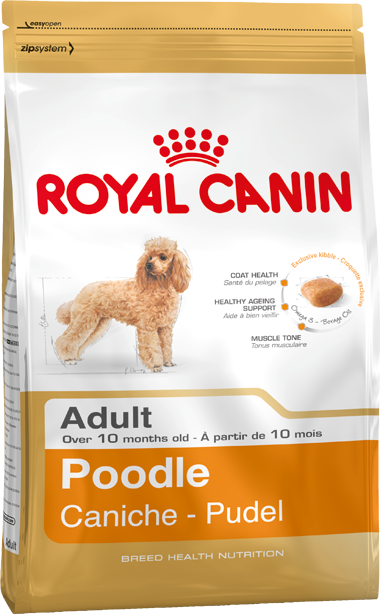 Royal Canin has various lines for dog food, but as we are seeking for the best miniature poodle food, the best option will be the Breed Health Nutrition dry food for Adult Poodles. With products of this brand you can be sure that your pup will have healthy joints, well-cared coat and great spirits. Here you can find all the best options of food for miniature poodles that are nowadays on the market. Food products for all tastes, life conditions and budget. This great and healthy dry food was developed specifically for nutrition needs of Toy and Miniature Poodles. 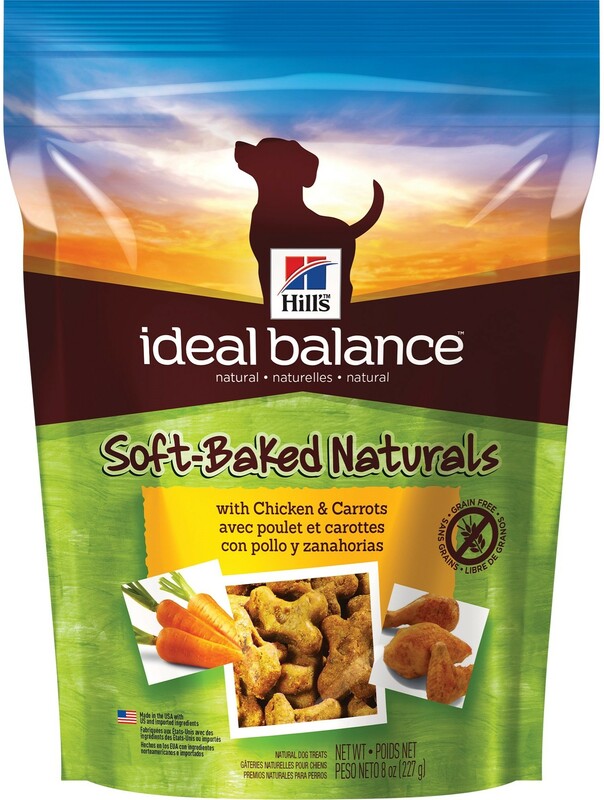 Well-balanced, it has just the right amount of fats and other micronutrients to keep the smaller Miniature Poodles active and lively. What shows that the food is suitable for small breeds in the first place? The size of the food particles! Not so important at the first sight, it deeply affects the ease of digestion and the condition of dogs’ teeth. Small dried food particles or “kibbles” are comfortable for chewing with such small chaps and create an effect of a toothbrush. Another important thing that makes this food so good is that your dog will get a significant amount of meat. Along with chicken meat and fat, the food contains omega 3 fatty acids. Adding the Royal Canin to the daily ratio of your dog will help it with strong and toned muscles, well-groomed coat and will keep the energy of the small pup boosting. Please, take into account, that this food is optimized for healthy adult Miniature poodles without any health issues. For dogs with grain or other allergies or any other health problems we would recommend choosing other dry food after visiting the vet. 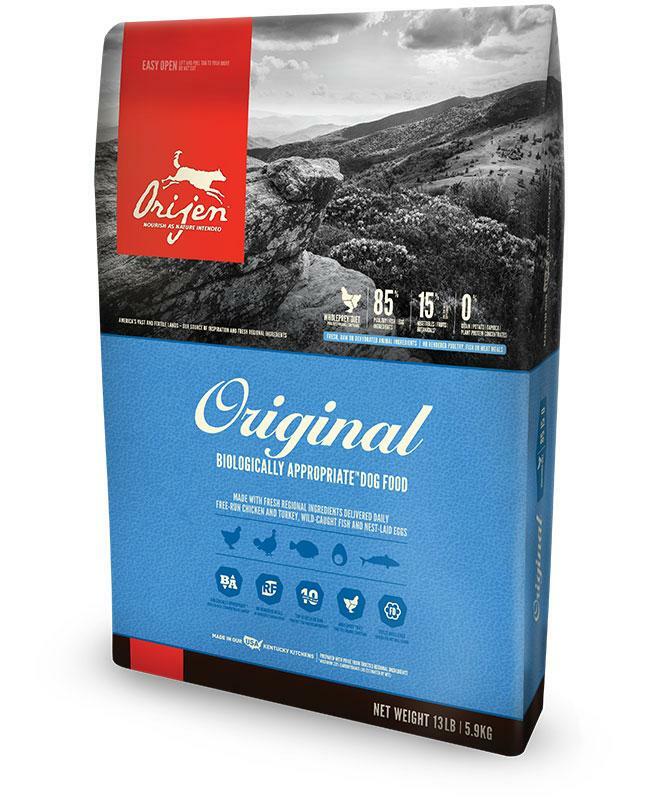 This highly nutritious grain-free dry food comes in hand if you see some symptoms of food and grain allergy that your pup might have. To remind you what the allergy symptoms can look like: vomiting, diarrhea, loss of coat shine and even skin problems. To prevent bad general condition and keep your dog boosting energy, select the food with taking into account all of his health issues. The food contains mainly chicken and turkey meat, and it is known to be the most digestible by the dogs. As for the nutrition value and daily amount of calories – it was specifically designed for small breeds with higher energy needs. To balance out all the micronutrients and add a so-called “health boost”, the oil salmon was added to the formula. It helps in keeping the skin and coat smooth and silky. Gain here is replaced by potatoes, peas and other products that contain carbs in great amount. All natural and beneficial for health. Addition of the vitamins is a plus which results in a happy and playful dog. 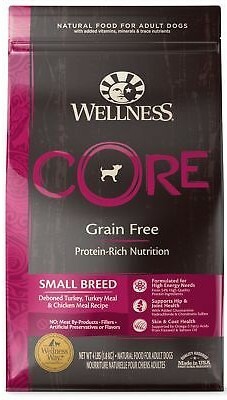 This is a great dried food for picky miniature poodles who can get upset stomach easily. With aging, nutrition needs, health conditions and even the daily routine of your Miniature Poodle will change. It gets less active, can develop some health issues and starts demanding different ratio of micronutrients than before. Positive influence of this one of the best canned food for miniature poodles starts with the additional dose of the antioxidants which helps to keep in the shape brain functioning. Healthy body holds the healthy spirits and the active brain helps to keep everything in place. As we said before, the ratio of micronutrients must be changed for older dogs. It results in increased need of protein and less need in carbs. This is exactly what you’ll get as a content in this canned dog food. Soft wet formula is easy to get digested even if your dog already developed teeth problem. Not to mention that the wet formula usually smells and tastes more appetizing for dogs than the dry one. The food takes care of the most vulnerable parts of the dogs’ organism: joints, hip bones and muscles. Of course, you can feed your adult dog with a great canned dog food for miniature poodles as well or just add a spoon or two to your regular dry food to make it more appetizing. This wet food in particular was developed for small breeds like miniature poodles who need much more energy and larger fat ratio in comparison to other breeds. It is also a grain-free food, so you can use it if your pup gets an upset stomach or just doesn’t deal great with grains in general. Highly-nutritious food with large protein ratio keeps muscles toned and your poodle ready to play all day. 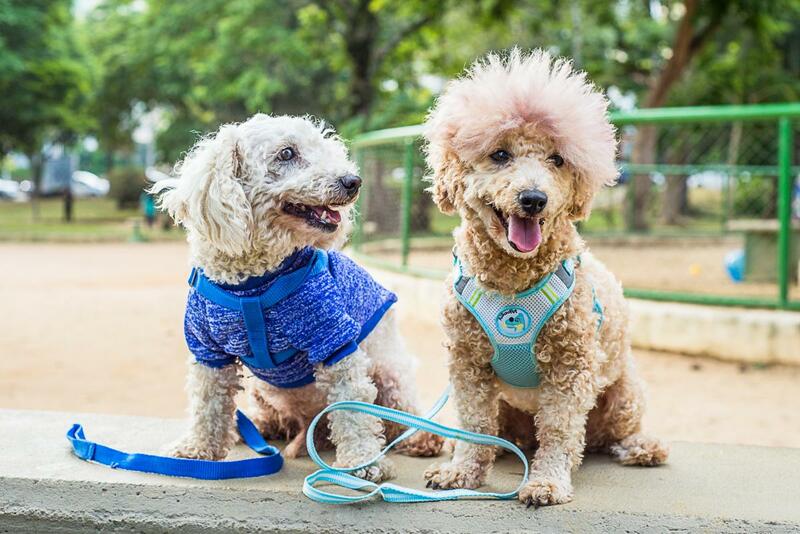 This is a great option for active and sporty miniature poodles. It is made from only natural ingredients: meat and veggies with absolutely no artificial colorings or flavorings. Frankly speaking, it smells not so good for our human noses but somehow extremely tasty to our dogs! This is a healthy and yummy way to make your pup get all the needed microelements and satisfy his nutrition needs. Easy open cans and portioned dog food adds to convenience of everyday feeding. The best natural dog food for miniature poodles is a guarantee of a health and happy dog. Remember to choose food with only natural dried ingredients. Miniature Poodles are the breed that can suffer hard from allergies caused by artificial colorants or flavors. 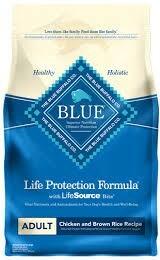 Blue Buffalo brand has a whole line of a high-quality food for various breeds and ages. 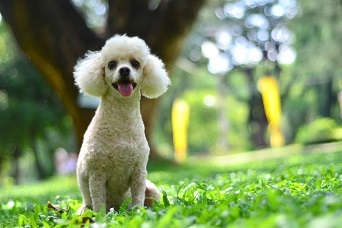 For Miniature Poodles we suggest choosing the Small Bite Chicken and Brown Rice formula as it has a small food particles comfortable for digestion and has the meat as number 1 named ingredient which means that the food has a very decent amount of it. The pack has two kinds of kibbles: one standard dog food formula with meat and veggies and smaller kibbles that are infused with a vitamin and antioxidant complex. It is high-nutritious. You can find the amount of calories in one cup in the instructions that come with the food. This is a convenient and caring way to make sure your dog will live happily with you for a long time. Antioxidants help on every aging stage and the full complex of micronutrients keeps the dog energized at max. What makes the difference between the best puppy food for miniature poodles and the dog food for adult poodles? First and truly supreme thing is a higher protein ratio. Puppies demand at least 28% of protein in their food to keep them lively and active. Another important task that the high-quality dry puppy food for miniature poodles must pull out is all the active supplements that will support muscles and joints in the growing process. 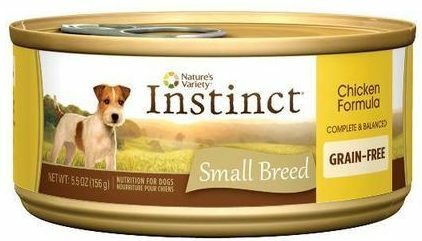 This dry food was created specifically for Toy And Miniature poodle puppies. Great taste combines with the small squared shape of a kibble that massages teeth and gum and can be digested easily even with small and not so tough puppy chaps. Healthy digestive system, well-groomed growing coat and tons of energy – this is what anyone would want for their puppy. The food contains chicken by-products which can sometimes cause an upset stomach. So, try out a small portion of the product to see how your pup is dealing with it. Somewhere between dry and wet dog food formula comes the soft one. It contains chewy soft pieces of food that are easier to chew and are juicy. One of the best soft dog food for miniature poodles would be this one made by Hill’s. Basically, these are the treats and not the main course, but it can add needed elements to the daily food ratio of your pet. Main ingredient here is chicken which goes well with poodles stomach and has the right protein ratio. Treats contain vitamins and amino acids while being absolutely natural and safe for digestion. This food doesn’t contain grains and fills the carb ratio with veggies like potatoes, peas and carrots. We wouldn’t recommend this as a main food ratio for your miniature poodle, but as a tasty and healthy addition to his daily diet. Food made by Orijin is truly one of the best dried dog food for miniature poodles on the market nowadays. Completely natural and grain-free, it can satisfy tastes and needs even of the very picky eaters. This is a great option if you are tired of seeking for the dog food that won’t make your pups’ stomach upset or won’t trigger any food allergy. The only visible negative thing about this dog food we could find is its price which is higher than average. But we think it is a pretty reasonable price, as the food takes step ahead with its exquisite ingredients: fish, poultry, veggies and fruits make a perfect and delicious mix. The amount of meat here is 85%! And the protein ratio is high above the average which is great for super active miniature poodles. This is a gentle formula for queasy stomachs. And it still has all the needed vitamins and microelements that will make your pups’ coat look flawless and his digestive system work like a clock. 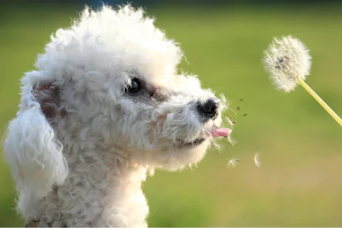 First and one of the most important things to know about the feeding process of the Miniature Poodles is that this breed can suffer hard from food allergies. We would recommend always buying new type of food in small amount to try it out and see if any of the ingredients could cause the allergy reaction. Always choose the food for miniature poodles with only natural ingredients. Avoid artificial ingredients like fire! Also, take a notice that some poodles can have allergy reaction to grain and corn. Luckily, today we have plenty of high-quality grain, soy, wheat and corn free dog food. Another important question is the amount of food to feed your miniature poodle daily. The best way to decide how much to feed your pup is to consult the vet or follow the instruction given with the food you’ve chosen. Commonly, Miniature Poodles need 3-4 feedings a day. One way is to count the calories your pup gets every day. In case with the Miniature Poodles, active adult poodle needs approximately 490 calories daily. If your pup isn’t so active or doesn’t do sport – the amount of calories must be smaller – near 400 a day. On the other hand, if you participate with your dog in various sport events, this amount might increase up to 700 calories daily. As for the miniature poodle diet, it must consist of the well-balanced ratio of carbs, fats and protein. Addition of vitamins, antioxidants and omega fatty acids is always a huge plus for any age. Choosing the dog food for your Miniature Poodle make sure that it has at least 28-30% of protein and up to 20% of fats. Miniature Poodles tend to suffer from skin diseases, so pick the food that is claimed to be the best for skin and coat protection. Of course, the best way to take care of your dog is to discuss all these questions with the veterinarian. Buyer’s Guide: What Is The Best Dog Food For Miniature Poodles? Buying the best dog food for miniature poodles may seem as the tough task, but it can be easy if you collect all the information about your dog and follow some simple instructions. There is no definite answer on which type of food is the best: wet or dry. Both of them have cons and pros. For example, dried dog food helps to care about the teeth and gum while wet food keeps the moisture ratio on the right level and smells/tastes better for many dogs. Maybe, the best option here would be to mix both together if you have such an opportunity. Always choose the food with the best natural ingredients. This is the base for your pups health and well-being. Try to avoid second-class meat products like liver, lungs etc., as they can result in upset stomach. Absolutely no artificial colors and flavors! That is a huge no! Each age stage of a dogs’ life needs its specific amount of micronutrients and additional elements like antioxidants or vitamins. For example, Adult Miniature Poodle can go well with 28-30% of protein while puppy will need to increase that number. 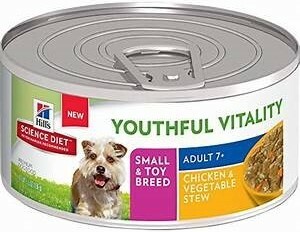 Try to choose the food created specifically for the age group your dog is at this moment. Best Dry Food For Miniature Poodles! Best Grain-Free Dog Food For Miniature Poodles! Best For Senior Miniature Poodles! 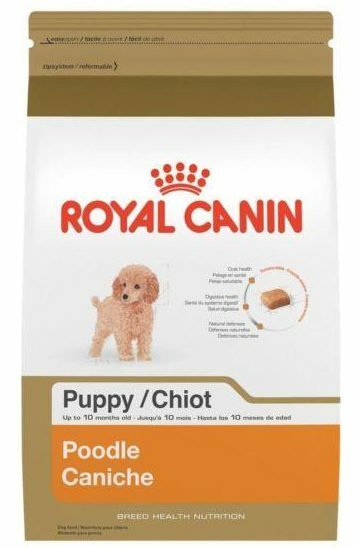 Best Soft Food For Mini Poodles! Best Food For Mini Poodles!